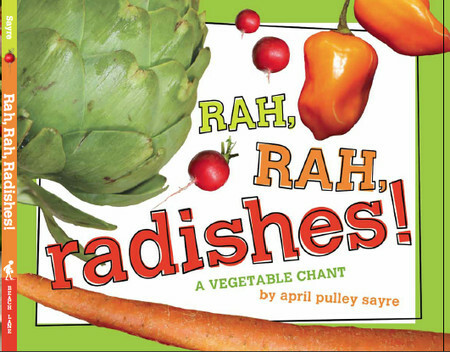 Rah, rah, radishes. Red and white. Carrots are calling. Take a bite! Ask for asparagus. Pea pods, please. Thank you farmers. Thank you bees!